Wand Wars: Rise is an innovative roguelike magic RPG from Nomad Studio. The game is set in Magic Age, you are a wizard rookie of the Magic Academy. Your academy is attacked by mysterious demons. To protect the academy, you have to find the enemy’s lair and crash them. 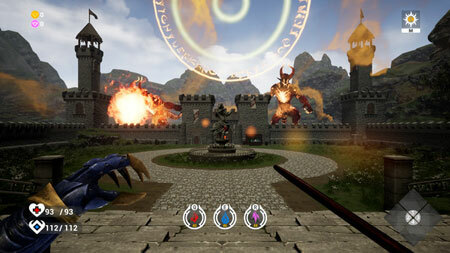 The game features 5 bosses, 3 levels, dozens of skills, almost 100 equipments, and random generated maps. If you get stuck in the game, check out the video walkthrough and gameplay for the game. This entry was posted in PC Games, Walkthrough and tagged Wand Wars: Rise Cheats, Wand Wars: Rise Gameplay, Wand Wars: Rise Guide, Wand Wars: Rise Strategy, Wand Wars: Rise Walkthrough by Marvin. Bookmark the permalink.